FREE Dinner Seminar on Back/Neck Pain! Suffering with constant NECK or BACK pain? Don’t miss our FREE dinner workshop on September 27th from 6:30-7:30 pm to learn how we treat neck and back pain without the use of drugs, injections or surgery. 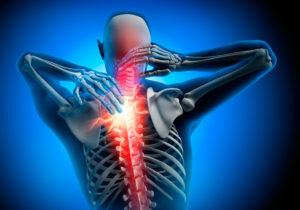 Spinal Decompression Therapy is FDA approved, non-surgical and utilizes computerized traction. It relieves damaging pressure on the spinal discs, joints and nerves. NWA Health Solutions combines this new technology with state-of-the-art Cold Laser and Oxygen Therapies as part of a complete system to give you pain relief, and your body a chance to heal! This is an incredible opportunity for you to learn about these treatments and how they can work for you! Join us on September 27th from 6:30-7:30 pm at 5300 South Southern Hills Court, Rogers, AR. Please call 479-636-1324 to reserve your seat today!